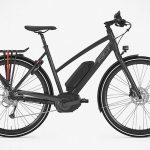 Bicycle, electric or not, is more as a mode of transportation than anything else. Unlike say, automobiles, it has little to no cargo capacity and hence, limiting its use. 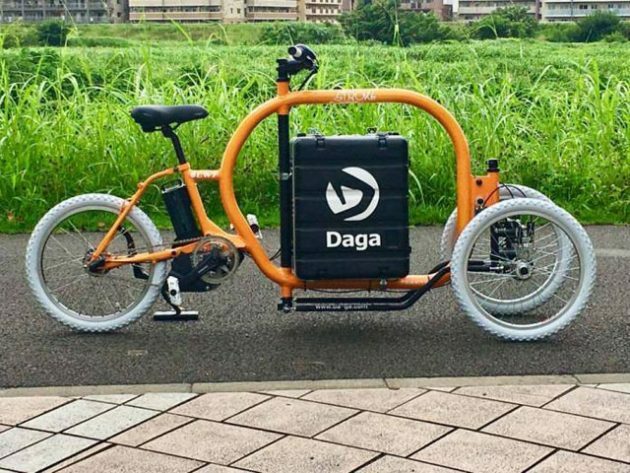 But thanks to the ingenuity of human’s minds, there are cargo bikes to look to if one ever needed to transport more than a backpack or shoulder bag. 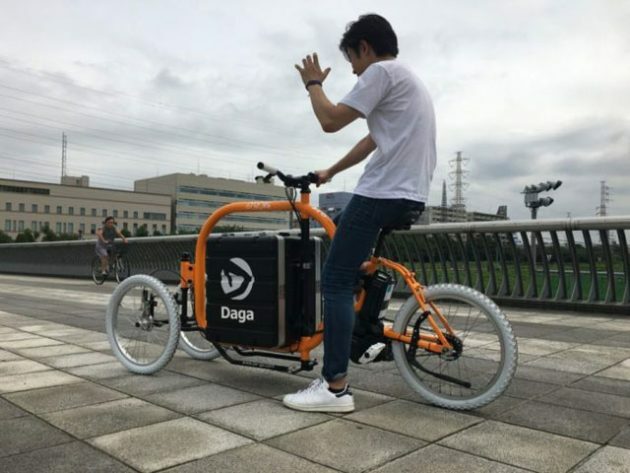 The Stroke Tilting Electric Cargo Tricycle by Niigata-based Japanese company Daga is one fresh face in the market and boy, is it looking fabulous. Now, shoving in a cargo area in between a bike frame is not new. There are several examples around. 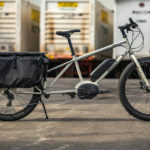 The Bringley Cargo Bicycle is one that had us at hello and now, the Stroke. 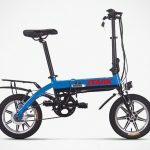 Stroke is a trike and therefore, it offers stability and it is electric-assist, so it could easily help to tackle challenging inclines, or share the bundle of pedaling so you’d save yourself the leg sore. Plus, it has a tilting design that affords turns to be via leaning like a traditional 2-wheel configuration bike. And then there’s the unique trunk that’s beautifully integrated into the middle of the bike frame. Another cool feature is, this trunk is removable, allowing the user to take it along as if it is a rolling suitcase. 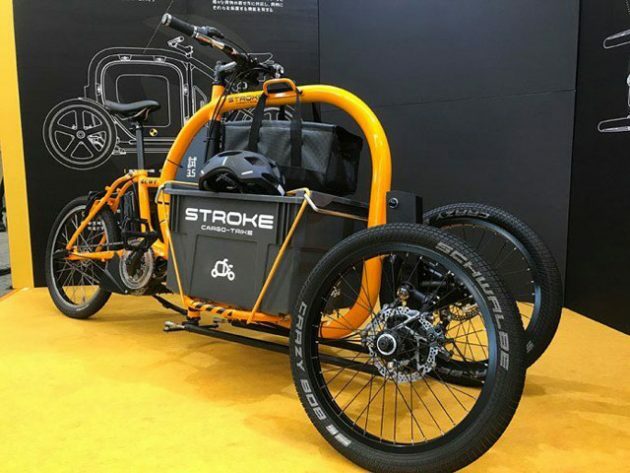 Unlike standard electric cargo bicycles and tricycles, Stroke here becomes even more stable when loaded with payloads – thanks to an ingenious design that shifts the center of the mass of the vehicle lower and closer to the center of the trike. So, as you can see, Stroke is not simply a bike frame stretched to accommodate a box and calling it a cargo bike. 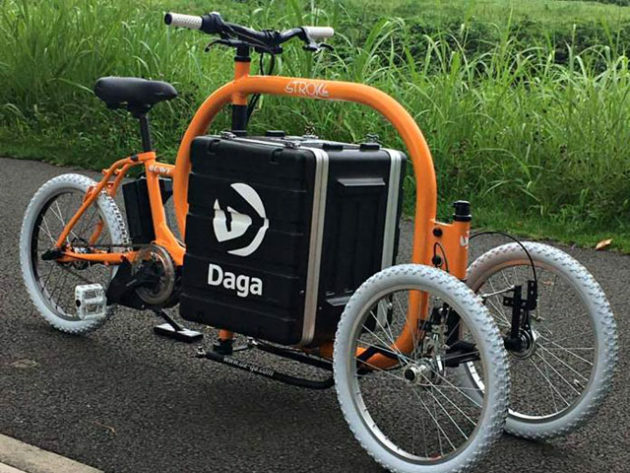 It is a purpose-designed cargo bike. 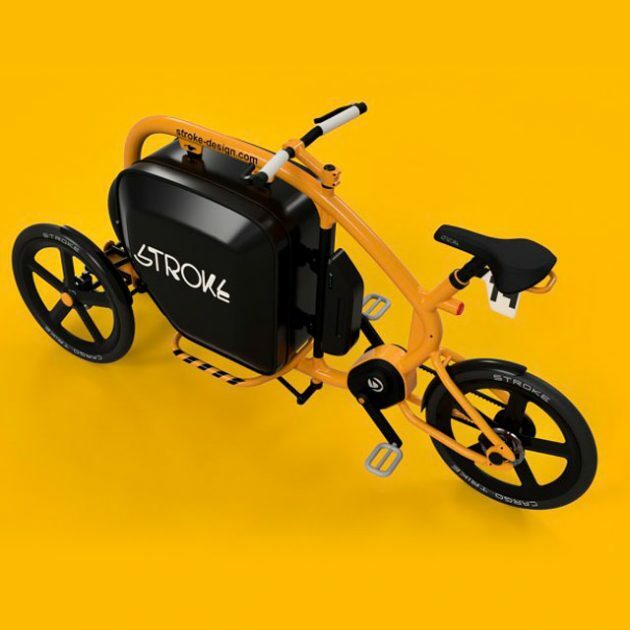 For now, Stroke is destined for Japan’s domestic market and as such, it has a top speed of 24 km/h (14.9 mph) as dictate by Japan’s regulations on electric bicycle. The applications of Stroke Tilting Electric Cargo Tricycle are wide and varied. 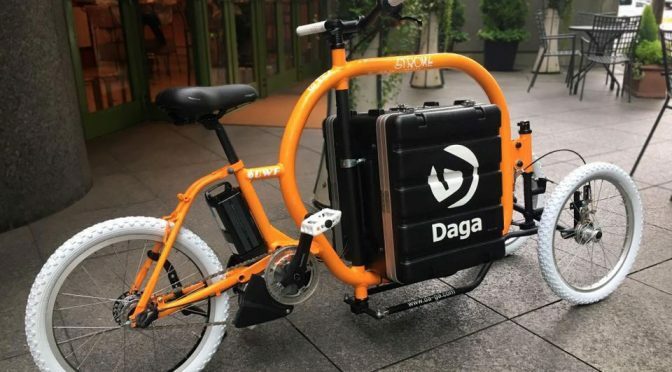 The most obvious and immediate application would be the current trend of food delivery, but it could be leisure too, allowing the rider to go about grocery shopping without worrying about how to bring all the goods back, or transporting pet to the park or a consultation with the vet.